To bring The Expanse’s fan community together and encourage creative collaboration to promote our favorite show and its incredible fandom. 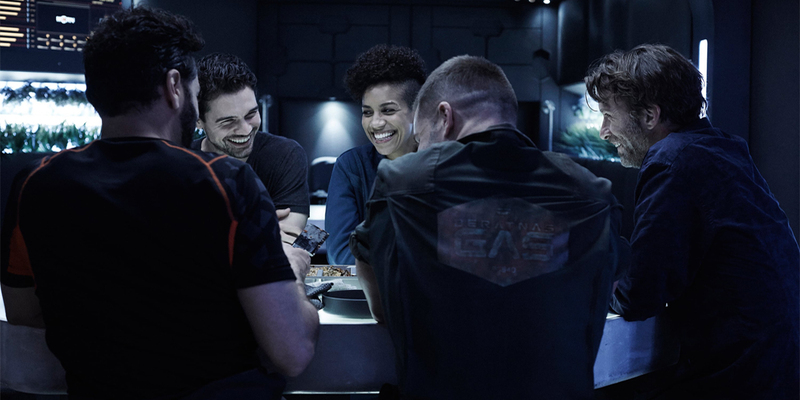 The Expanse Lives team is a group of like-minded fans who banded together during the #SaveTheExpanse campaign to help organize the community and save the show we all love. With team members across the globe, our goal now is to create a place where fans and content creators can collaborate and organize with each other to create more brilliant artwork, videos, writing, cosplay, organized meetups and even cocktails inspired by The Expanse. We are inspired by The Expanse’s message of inclusivity, unity, and dreams for a better future for humanity. We recognize and love this spirit among the fan community, and will work always to nurture it. Beyond that, we aim to produce our own content using our dedicated and talented team. We will do this using the #community-projects channel on the Unofficial Discord Server where you can join us to work on ongoing projects, build a team for your own, or simply submit and promote work you have already completed. During the #SaveTheExpanse campaign, we united with the common goal of directing the community’s energy, organising campaign stunts, and building a social media presence to make sure that everybody heard about The Expanse. Our team ran the SaveTheExpanse.org website as well as the @SaveTheExpanse Twitter and Facebook accounts, organised tweetstorms, managed the popular GoFundMe stunt campaigns, and ran a successful advertising campaign on Facebook while producing many original pieces of promotional graphic design and video. Once Jeff Bezos had announced that the show was saved at the ISDC, we began to look to the future and how we could use what we’d built to help the fans connect with the show – and with this, TEL was born. Check out our detailed retrospective article on the #SaveTheExpanse campaign here. If you want to get in touch or work with us, we can be found on social media (Twitter/Facebook) and the Expanse Discord community server. Please reach out to us on the contact page!